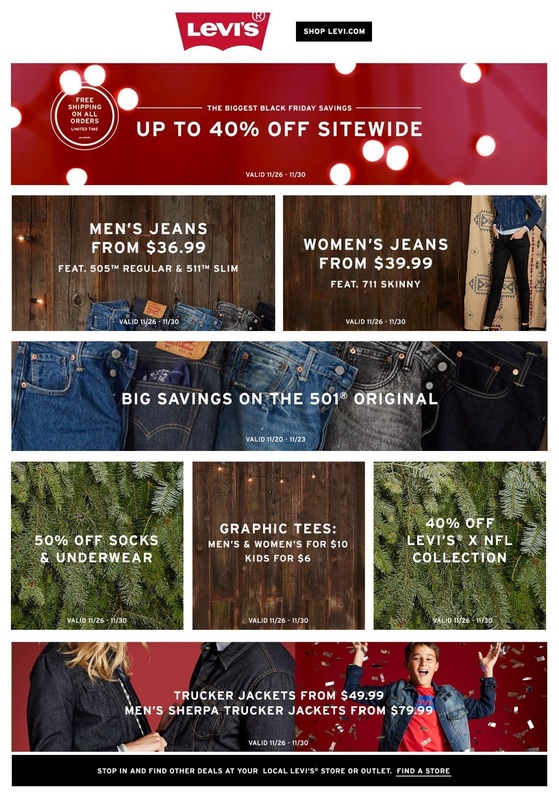 Levi’s epitomize classic American style and effortless cool through their large selection of iconic men's and women’s jeans, tops, trucker jackets, and accessories. 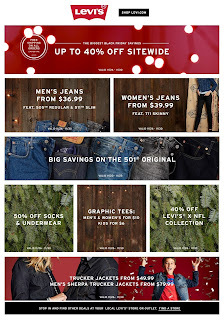 For this 2015 Black Friday, Levis offers up to 40% off site-wide from 11/26 to 11/30. 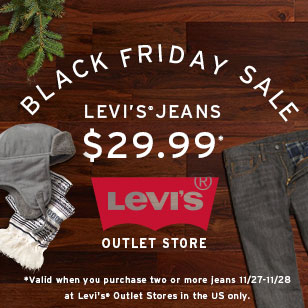 Levi’s denim is known for quality, style, and fit. You wear jeans. You live in Levi’s. Graphic Tees for Men and Women for $10. Kids Graphic Tees for $6.